At Lockerbie Dental, the leading orthodontic practitioners for children and adults in Lockerbie, we identify the optimal treatment for each individual. Professional and state-of-the-art technology deliver a healthy, straight smile as discreetly and quickly as possible – ideal for adults seeking the smile they have always desired or parents who want to invest in getting their child’s bite and smile just right. Orthodontics is the practice of preventing and correcting irregularities of the teeth and jaws, by the use of braces. An orthodontic practitioner is trained in the diagnosis, prevention and treatment of dental and facial irregularities. They undergo additional years of education beyond dental school to learn the proper way of aligning and straightening teeth to deliver both function and aesthetics. We have invested heavily in the Practice, with state-of-the-art technology (including digital radiography, digital photography, physical facilities) and the highest calibre of personnel to enhance patient experience and to make us the ‘practitioners of choice’ for orthodontic care, ensuring that every patient achieves a healthy and beautiful smile that exceeds their expectation. Damon braces are fast, fixed, orthodontic braces using a system of low friction mechanics. These not only result in quicker treatment times but the lighter forces with damon braces provide a more comfortable treatment. By using the Damon system braces, including the latest Damon Q and Damon Clear braces, the patient will experience fewer visits to the practice. Lingual braces are different to other braces as they are fitted to the inside of the teeth. This makes lingual braces completely invisible – ideal for those who require orthodontic treatment but do not wish to compromise their appearance. 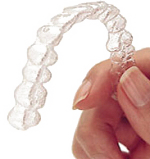 We offer the clinically proven Invisalign brace treatment, the almost invisible way to provide teeth straightening. As experienced orthodontic practitioners we will conduct an initial consultation and only recommend Invisalign if the patient is suitable. Clear Invisalign braces are the ultimate cosmetic brace for creating beautiful smiles! Invisalign is a revolutionary way for teeth straightening without obvious braces by using a series of nearly undetectable aligners instead of wires and brackets. These clear braces move your teeth, week by week, millimetre by millimetre, to the desired position. Using 3D computer technology each of your Invisalign brace aligners is made to sit snugly over your teeth and unlike normal braces can be removed for eating, brushing and flossing. Invisalign is particularly suitable for adults and most teenagers (Invisalign Teen).